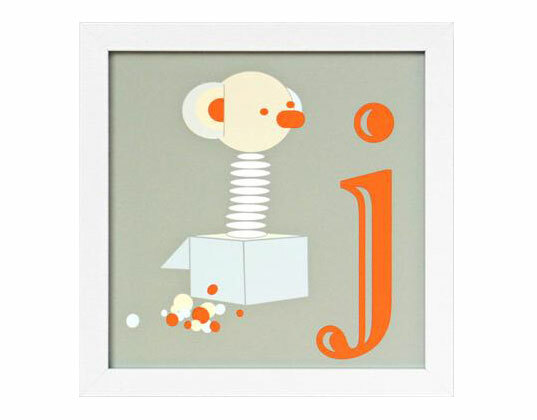 Featuring playful designs inspired by Mid-Century Danish wood toys, Binth’s single letter alphabet prints will add subtle whimsy and classic flair to baby’s modern nursery or your child’s bedroom. 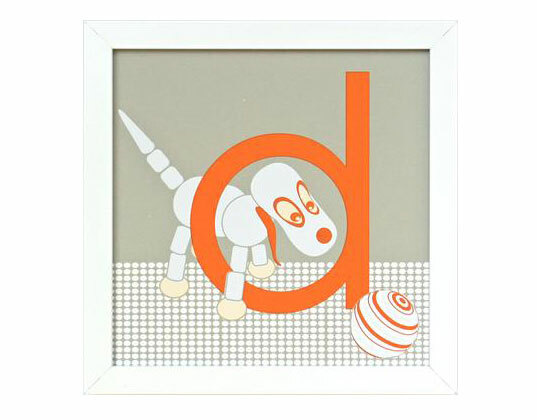 Whether you spell out your tot’s name, or punctuate his terrain with initials or an homage to his favorite or first word, this artwork, which is screen-printed with water-based ink on recycled stock, will instantly stylize any space. 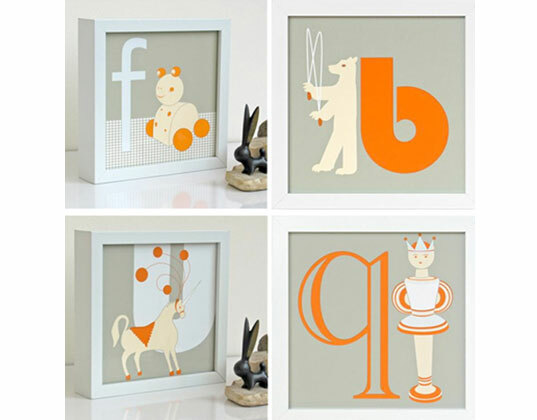 these are the best alphabet prints I've ever seen! Featuring playful designs inspired by Mid-Century Danish wood toys, Binth's single letter alphabet prints will add subtle whimsy and classic flair to baby's modern nursery or your child's bedroom. Whether you spell out your tot's name, or punctuate his terrain with initials or an homage to his favorite or first word, this artwork, which is screen-printed with water-based ink on recycled stock, will instantly stylize any space.